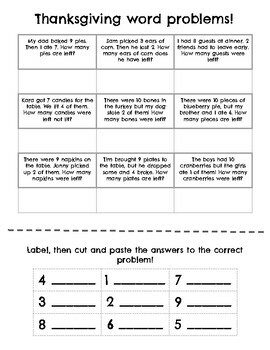 This is a cut and paste activity for students. The questions are all Thanksgiving themed. Students will label the answers before gluing them!